For each tank that is manufactured in the world, 131000 teddy bears are made. For each stock exchange that plummets, there are 10 versions of ‘What a Wonderful World’. For each corrupt person, there are 8000 donating blood. For each wall that exists, there are 200000 welcome mats. While a scientist is designing a new weapon, 1 million moms are making chocolate cakes…. Every single day we have to make thousands of decisions. Some are as simple as what time to get out of bed, what to eat for breakfast, or what clothes we are going to wear. However not all decisions are easy, in our personal lives and work lives we sometimes have to make difficult or complicated decisions. This sets the basis for the factors that affect decisions and how we handle them. What makes a difficult decision? Difficulty is often gauged by the severity of the outcome. We would deme the decision to pick fruit loops or cheerios less difficult to make than say, which school to put our kids in. So what makes your breakfast choice less difficult? Well when you analyze the outcomes of choosing one cereal over the other, the result will be that you’ll be less hungry than when you started, and the worst case scenario being that you would of rather had fruit loops that day. Compare that to choosing which school your kids go to, the outcome becomes much more complicated. For example, it is possible that the school which your children attend will have no effect on their future. But there is also the possibility that the choice of school will greatly alter their lives. With no means to tell for sure, one can only investigate each outcome as best as possible, and finally make that difficult decision. This leads us to another couple of factors affecting our decision making process. The more difficult a decision is the more time to make that decision is required. However, as many of us know, this is not always an option. Furthermore stressful situations can be caused either internally by the decision itself, but also externally by the conditions in which we make decisions. Stress can induce an altered state of mind in which every person reacts differently. Often individuals who can make effective decisions under stressful conditions and in short amounts of time are highly regarded. Perhaps one of the best examples of stressful decision making is in a combat situation. While many business decisions can be stressful, it’s hard to match the outcomes of life and death many soldiers face every day in active duty. 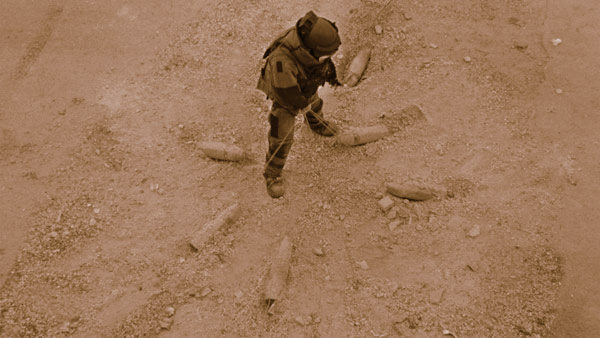 The recent film ‘The Hurt Locker’ released in 2008 portrays the particularly stressful life of Sergeant First Class William James, Sergeant JT Sanborn, and Specialist Owen Eldridge, a military bomb squad in Iraq. For the 3 man team portrayed in the film, there are multiple levels of danger associated with their duty. The decision to join the army, being deployed for active duty in Iraq, and being on the bomb squad, and having to constantly deal with IED’s in a combat situation. For it is one thing to diffuse a bomb in a secure location, but more complicated to diffuse a bomb while the streets around you are far from safe. The combination of all the factors surrounding an army bomb squad means that determining the best decision can be substantially more complicated than choosing what to eat for breakfast. Suicide Bomber: What is more evil? The film is loaded with difficult scenes, and questionable wartime tactics, from injured insurgents, hostage situations, to bomb laden Iraqi bodies. One particular scene in the movie deals with a particularly difficult ethical decision. Suicide bombers usually strike without any warning, but in this scene, the troops are faced with a different kind of bomber. The man is strapped with explosives, but he has changed his mind, regretting his decision and begging for help. The scene is reflective of the opening scene of the movie in which one member lost his life due to a bad decision. Troops clear the area, as James, Sanborn, and Eldridge are called to the scene. The amount of explosives on the man forces the troops to isolate him, keeping a safe zone around him. 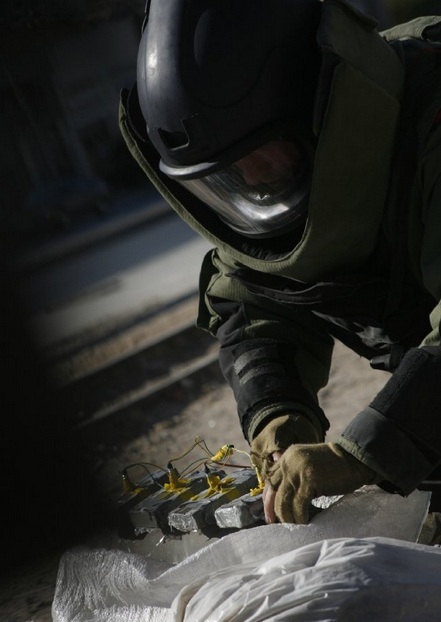 As the man cries for help, James is strapped with the bomb suit and goes to analyze the situation. Sanborn and James attempt to free the man of his explosive vest, but it is tightly secured with a series of locks and metal strapping, and a timer ticking down to detonation. It quickly becomes clear that they will not be able to free the man in time, as Sanborn tries to drag James away. James struggles to the last seconds to try and free the man, but ultimately has to make the difficult decision to leave him. The scene closes with a massive explosion. Although difficult, it seems a necessary decision to leave the man for the safety of everyone else involved. And for most people that exact decision seems like the only logical choice. Ultimately that decision is one of the biggest ethical questions individuals, soldiers, organizations, or governments have to face, and is more commonly known as the lesser of two evils. It’s that very concept that many people would struggle with, and ultimately, even people who don’t believe in the concept of a lesser of two evils will react in the same manner. Not every variation of the Lesser of Two Evils concept is life and death. The concept only implies that in some strained situations, the benefit of many must occur at the expense of a few. In that view, democracy itself can be thought of in this way, for democracy is the benefit of the majority, at the expense of the minority. Every decision has a compromise, there is always sacrifice. More often than not, these types of decisions are surrounded with time constraints and stress. It is easy to judge a decision from a calm environment with ample time to explore the outcomes, but not easy to make that decision when the time calls for it. This is something we must always remember. As stressful conditions intensify, and time is short, we may not have the opportunity to investigate all possible outcomes, but a diligent attempt is required. It is imperative that we strive towards that balance in life. While not all our decisions will be the best ones, we should work towards educating ourselves and exploring the options as best as possible. By doing this we can ensure that we are better equipped to handle situations as they arise. Just as we must not let the restrictions of voluntary blindness to issues around the world affect us, so too can this concept be reflected in a global scale. By limiting exposure and education, prime conditions for unethical decision making can develop. Often so, these bad decisions can even be done without harmful intention, but as the world changes, the ignorance excuse is losing credibility. The regimes of the Soviet Union, East Germany, and more recently North Korea all have worked to blind their citizens of the freedom of knowledge. Without knowledge it is difficult for individuals to make informed decisions, the lines between right and wrong can quickly become blurred. The importance of establishing a sound knowledge base is the foundation for good ethical values. As DesJardins outlines “acts and choices that aim to promote human well-being are acts and choices based on ethical values” (DesJardins, 2009). While many of us may not face the same conditions that an army bomb squad will, we will however face difficult situations nonetheless. Nobody wants to be faced with making difficult decisions, but it is inevitable in life. As Sergeant Sanborn says riding back in the Humvee after that particular final scene, “you realize every time you suit up, every time we go out, its life or death, you roll the dice, and you deal with it” (Bigelow, 2008). We do not have the luxury of choosing which situations we are faced with, but we do have to deal with them. With a strong understanding of our surroundings and values we can enable ourselves to make the difficult decisions to the best of our ability. Bigelow, K. (Director). Mackie, A. (Actor). (2008). 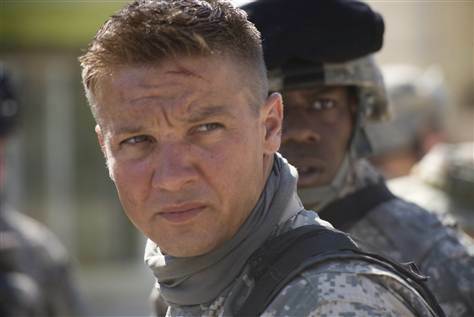 The Hurt Locker [Motion picture]. Voltage Pictures. DesJardens, J. (2009). An introduction to business ethics (4th ed.). New York, NY: McGraw Hill. You may remember the images that appeared a couple years ago of one of the last uncontacted tribes. Deep in the Amazon of Brazil, photos were taken from an airplane of the tribe recently discovered. Their brightly painted bodies amidst the jungle appeared in news sources around the world. Now the first video has been released of that very same tribe. On February 4, 2011, the amazing video was released. Uncontacted or lost tribes are not entirely new. There are different variations of such tribes in remote areas around the globe. 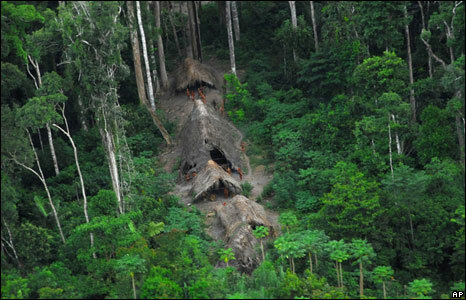 Currently, Brazil leads the world with as many as 67 uncontacted tribes according to a 2007 report. Remote islands in the Andaman Sea host at least 2 tribes known as the Sentinelese. They have apparently violently avoided contact attempts by the Indian government, and have since been left alone. Recent helicopter surveys suggest their population at 250, and they are believed to have lived there for 60000 years. The last uncontacted aboriginal people in Australia, Mexico, and the United States are believed to have made contact in the 20th century, as late as 1984 in Australia. While such tribes are believed to exist in New Guinea, Peru, Ecuador, Columbia, Bolivia, Suriname, Paraguay, Guyana, French Guiana, and Venezuela as well. It is clear that watching this video, and seeing these images stirs a unique fascination among us. Maybe its the idea that a people can live without ever seeing or witnessing the civilized world for so long. In the heavily developed world, its hard to imagine that this is even possible. Or maybe it’s because we think we have explored everything, we know everything, there is no new discoveries left in the world. Stories like this tempt our minds to question what we know. 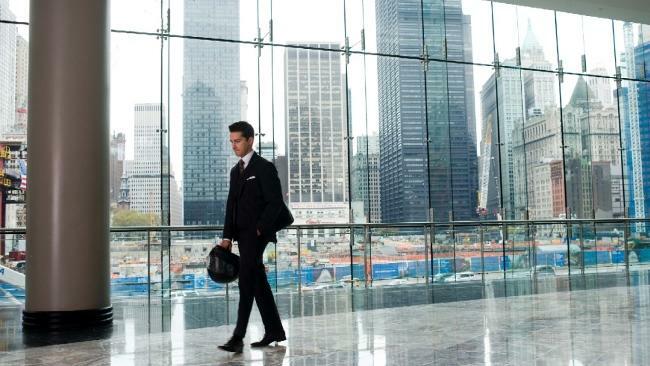 Recently, the film Wall Street: Money Never Sleeps was recently released on DVD, and with that, I found it fitting to comment on the deeper meanings of the film itself. By no means is this film a spectacular experience, but there is a host of imagery and underlying concepts to look out for as you watch the story unfold. The following is a section of a paper we had to prepare on corporate culture. Oliver Stone is a highly outspoken director, and he uses no restraint in expressing his views in a myriad of ways. For behind the acting and the story of the characters in the film, lies an entire other story, a story that few actual viewers even discover, and it is only when you pay attention to the cues to this story that it will be revealed. Money Never Sleeps is loaded with imagery and metaphors alike, all of which hold true to Stone’s views on corporate and political issues in America. Some of the techniques are subtle, requiring a close eye or ear to catch them, others are more outspoken, but all serve the same purpose. That purpose is to persuade the audience to see America’s society through a particular lens; Stone is holding that lens in this movie, you are looking through it. One of the most visible themes that Stone puts into the open in the film is the concept of Greed. From Stone’s first Wall Street Film came the famous Gordon Gekko phrase; ‘Greed is Good’. And although both the original and the sequel film portray very capitalist ideals, one should not be mistaken into thinking that this portrayal is done so in a positive manner. Alternatively, Stone does a good job in exploring the quick highs, and shiny exploits of a greedy Gordon Gekko, a greedy Bretton James, a greedy America. Throughout Money Never Sleeps, there is a constant portrayal of the shiny exploits of greedy endeavors. Stone places these images of the wealthy throughout the film, in varying levels of exposure. For example, the constant presence of expensive cars and motorcycles is shown. The motorcycle leads this image of toys of the wealthy, and breaks open with Shia Labeouf’s character Jake riding his motorcycle to work. The trend continues from hedge funder parties displaying an array of cars that cost as much as most people’s homes, to that very well sponsored bike brand of shiny Ducati’s splattered across many of the films scenes. As you look closer you’ll notice an abundance of jewelry. One particular scene which exemplifies this is when Jake attends the dinner party with his new employer Bretton James. You’ll notice the women in these scenes weighed down with massive diamond earrings and elaborate pearl necklaces. Precious stones, motorcycles and fast cars, all of which Stone uses to showcase the abundance of unnecessary wealth the greedy obtain. One of the most striking moods Stone creates in the movie is one that reflects the nature of the discussions and transactions of the financial heads. The meetings in which Louis Zabel and Bretton James discuss financial decisions of the nation’s biggest banks take place in a room with rich wood furniture, and closed windows. This dark atmosphere accompanied by men in suits gathered around the large table portray a meeting not unlike that of some secret society making decisions about how to control the world. For it is the idea of a dark and ominous meeting place and the even darker decisions being made that Stone wishes to expose to his audience. 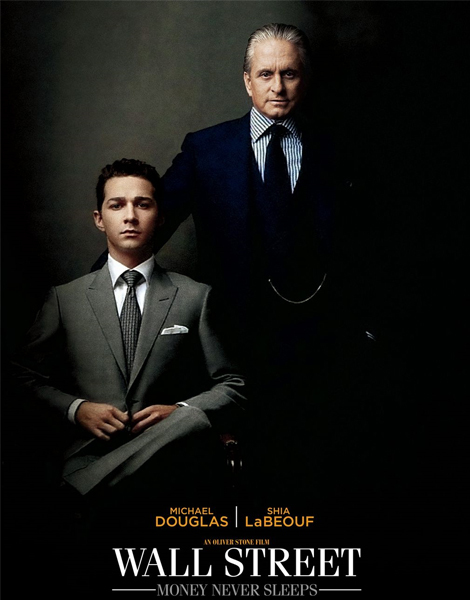 This very idea of darkness is present even in the movie poster released for the film, in which Gekko stands over Jake; the mentor and the apprentice, with that persistent darkness creeping in from the right. In Stone’s lens, the head of financial institutions are those dark decision makers, the fate of many decided by the handshakes of a few. Once more, almost on cue, as the dealings of Bretton James’ firm become exposed, and the truth starts to escape, light begins to shine in from windows. The light of truth begins to expose those once dark deals. What decisions are the likes of the greedy ready to make? How far will one go to achieve their goals? Stone would have you believe that the limits of the true capitalist stretch much further than you’d think. In the film, the imagery of how far greed can push people is displayed in horrific measures, so far that they span past the limitations of humanity and decency. Take for example the painting that Bretton James introduces to Jake when they enter Bretton’s office. The painting is the famous image of Saturn devouring his son. The ‘Black Paintings’ were works completed by Francisco Goya, a series of which reflect Goya’s own outlook towards life and humanity in the early 19th century. So paranoid that his children would try to overtake him and steal his power, the roman god Saturn apparently killed and ate each of his children as they were born. That very same theme paints its own bleak image that Stone uses to reflect upon the extremes in which man will go to attain power and wealth. One cannot help but think back to this imagery when Gordon Gekko himself betrays his own daughter’s final strands of trust as he swindles the 100 million dollars out of her bank account, thought to be safe in Switzerland. Through these actions, Stone does not hesitate to claim that desire for money and power hold no restraint when human beings become infected and begin to show its symptoms. As one walks away from this film, through all the moods and imagery that the film creates, there is but one that holds significance lasting power. The character who best exhibits this theme is Louis Zabel. When Jake asks Louis if he is ok near the beginning of the film, Louis replies “good day I’m ok, bad day I’m ok, what’s the difference”. This simple phrase embodies the shear unhappiness in Louis’ life; a man who spent his entire life chasing money, looking for success and never being satisfied. The realization of all those wasted years coming too late for Louis, he tries to get through to Jake, and help him appreciate what really is important in life. The distraught life of Louis Zabel peaks in the scene where he wakes up one morning and goes through his normal routine and makes his way into the subway station. The intensity of the music alone offers a glimpse into what is about to happen. So lost was Louis Zabel, so alone in a world in which he hardly knew anymore, distancing himself from what was important in the pursuit of money. This is a devastating event for Jake, as you watch the news of his mentor’s death in the close-up of Jakes eyes. This scene serves as the tipping point for Jake, as he then begins to put the pieces of Louis’ advice together through the rest of the movie. Oliver Stone is effectively using Louis Zabel’s character to portray the simple fact that money cannot buy you happiness. The ideas brought forward by the director are by many standards, very controversial. One could argue that this film attempts to expose activities of the political right, and at the same time presents views and even solutions from the political left. Oliver Stone as a director is quite forward in his expression of views towards political, economic, and corporate culture. These expressions often masked behind movies, but also evident in public statements as well. If you follow Oliver Stone’s films, they are consistent in their techniques used. Typically portraying a certain issue, but alluding to the controversial questions surrounding the issue throughout the film. A Vietnam War vet himself, these techniques were used in the film ‘Platoon’ in 1986. The characters and the story are only skin deep to the deeper issues he tries to expose. The focus on story and character development is hardly elaborate in any of his films, as evident by a significant amount of documentary style films he has been a part of. Take for example the films ‘JFK’, ‘Nixon’ ‘W’ and more recent ‘South of the Border’, all heavy on the political side as well. By infusing so much political subjectivity into a film, you risk validity in your work. By leaving objectivity at the door, you induce certain implications when validity comes into play. Money Never Sleeps provides some very interesting dialogue near the end of the film. The dialogue hardly applies to the story or the characters in the film. This dialogue provided by Shia Labaeuf’s character Jake instead addresses the issues in the film that had thus far been shrouded over by the surface story. In this dialogue, Jake says “What is the definition of insanity; it is doing the same thing over and over, and expecting a different result. By that standard, most of us are insane, but not at the same time. On that basis we trust. But can this way of life endure if more and more of us are insane at the same time?” Stone is alluding to his opinion that society is insane; we are making the same mistakes over and over, and by doing so, are eroding a lifestyle we have become accustomed to. Whether directly or indirectly, the act of hinting that American values of capitalism and democracy aren’t working as a system falls into subjective expression. Subsequently, depending on the audience, the levels of objective and subjective expression vary. An audience which agrees with the ideas put forward will view the work as more objective, while those who disagree would push it into the realm of subjectivity. True objective material allows factual information to be brought into the open, allowing the audience to form their opinions based upon the provided content. So it is the personal background of the individual that dictates the degree of subjectivity in a film. Over all, Stone puts forth some credible arguments but lacks fluidity between the characters story and the hidden agenda. That constant bubble metaphor throughout the film will have you flipping scenes to count how many bubbles you can find. Stone uses these bubbles in an attempt to shine a somewhat positive light on the issues at hand near the end of the film. “Bubbles are evolutionary…always creating change” as heard in the final dialogue by Jake implies that there is hope despite all humanities mistakes. That as society we can learn from past errors if we so choose, and inflict the measures necessary to induce change. “Didn’t you say green’s the new bubble Jake?” are the words said to Jake by Gordon Gekko, as he informs the young couple that he put 100 million dollars into the United Fusion company. A great start, but one might scratch their head wondering if after all that has happened, if that’s all that’s required to make it better again. Stone enforces this feeling of optimism with the final scene in which all the characters are in a state of bliss celebrating the birthday of Jake and Winnie’s child. While quick fixes might not be reality, a step in the right direction is a good start. With mixed reviews, Money Never Sleeps may not be a box office record breaker, but it does hold some significant value. As the current economy struggles to resist a double dip recession, many people are looking to the reasons why. Everyone wants to know why the housing market crashed. Taxpayers were asking why their money was being used to bailout the big banks and their bad investments. Where should we be investing for the future? A series of questions with limited answers, the real value in this film is inspiring dialogue about these issues. Louis Zabel tells Jack that he’s “asking the wrong questions”. Only as we strive to ask the right questions can we hope to achieve change. The scale on the level of change is not as important, small or big, change is nevertheless an important process. Always learning, always changing, this is the necessity for the betterment of society. I just finished watching a documentary called ‘Home’. 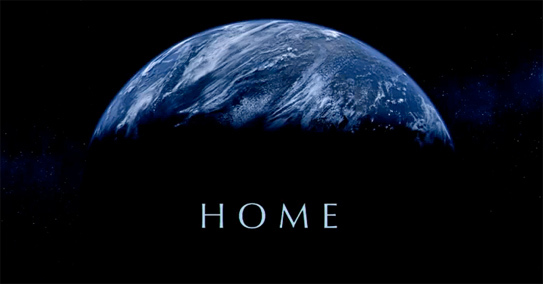 It’s a film about our home, not the roof over your head but the planet you live in, earth. I sat in my dark living room learning about our planets extraordinary beginnings, and its progression through its own life. Then came humans, you and I, and as the music and images build tension, you start to lose faith in the role of mankind. The film paints a gloomy picture of the effects of humans on the planet, and it builds up to a climax where you think the film couldn’t get any more depressing. But luckily there is a turning point in this film, as the good things that mankind has done, and can do are outlined, leaving you with a spark of hope in a dreary mind. Over 50% of the grain traded around the world is used as livestock feed or biofuels. 13 million hectares of forest disappear every year. 100L of water produces 1kg of potatoes, 4000L produces 1kg of rice, 13000L produced 1kg of beef. Since 1950, fishing catches have increased from 18 million to 100 million metric tonnes per year. The average global temperature in the last 15 years is the highest on record. 1 in 10 rivers in the world no longer reach their delta’s for months at a time due to heavy irrigation. 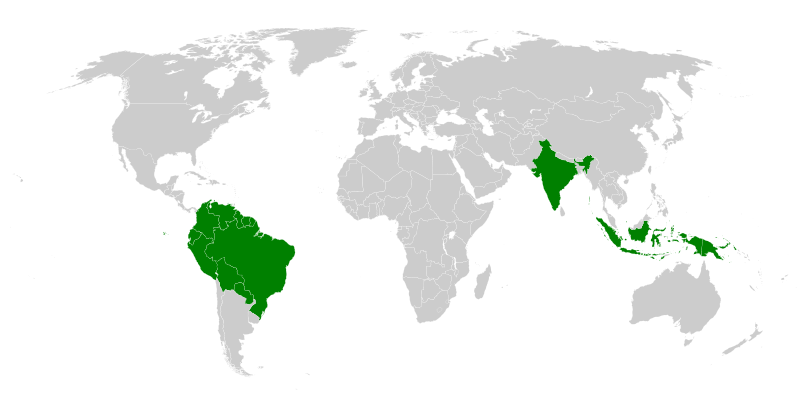 95% of soybeans produced in Brazil are used to feed livestock and poultry in Europe and Asia. 3/4 of the varieties of crop developed through mankind’s history have been wiped out. Antarctica has immense natural resources which no country can use for themselves. 2% of the worlds territorial waters are protected, not much, but thats 2 times more than 10 years ago. 13% of the continents of the world are covered in natural parks. South Korea restored 65% of its depleted forests through reforestation. The U.S, China, India, Germany and Spain are the biggest investors in renewable energy. Although the dialogue and text may be a little rough around the edges, the imagery is stunning, and the message is important and clear. We must change. A friend of mine brought a video to my attention today. This is a video from a past TED conference in 2006 in which Sir Ken Robinson brings forth some compelling ideas and criticism about the worldwide education system on a whole. Now for some background, TED describes itself on its website as a nonprofit organization devoted to ideas worth spreading, and they have been putting on conferences around the world since 1984. In this segment, Sir Ken Robinson, a former professor himself analyzes the education system, and questions the hierarchy of what is valued in our education systems. An interesting quote from Picaso sets the stage of thought; Picaso said “Every child is an artist, the problem is how to remain an artist as we grow up”. Robinson figures that we have “educated people out of their creative cappacities”. In that we have trained our children through out their lives to be afraid of being wrong, and we have formed companies and governments based on this type of thinking. He makes sure to point out that being wrong isnt necessarily creativity, but that we must be prepared to be wrong in order to come up with new ideas. This is a fascinating analogy, has our society laid out the format for being right and wrong? Have we grown out of our capability for being wrong? I think this is possible, we as human beings are not two the same, we are all different, we have different ideas and ways of thinking. So why is it that we all must follow the same education format, focusing only on the neck up and ultimately rewarding only those who think with just a particular side of their brains? Maybe we are placing too much emphasis on mathematics and science, whilst shunning the arts. According to Robinsons comments, the education system as we know it has only come into place since the industrial revolution. For that is when we needed to educate people to help run this new world that we as humans were creating. Going along with that theory, one could agree that mass education has only really been happening even in the developed world for the last 30 or 40 years. Many of us still have grandparents growing up in the 20th century with limited education, for a variety of reasons. Most people would also agree that the 20th century saw some of the most profound technological advances in all of human existense, our quality of life changed the most during this century, from cars, airplanes, microwaves, electricity, space flight, and so on. Now in the last 30 years what have we accomplished? We developed the internet, an obvious advancement, but what else, our cars are slightly more efficient, the planes are faster, but have we really developed life altering technology that we saw in the first two thirds of the 20th century? Maybe there is a correlation between our recent widespread education system and the possible slowing down of human advancement. Is Ted right? Have we been educating our generations out of creativity? I do ponder the idea of a possible education inflation problem, when everyone has a degree, then undergrad studies will be useless, the jobs will goto those kids with masters or PHD’s. But is it all worth it? Do we really need to be going to school for 20 years of our lives? Maybe the education system is training everybody to simply be average. Through our education system, is society moulding individuals into simply another gear that keeps the societal machine running smoothly? Maybe our system of education is crushing innovation, entrepreneurism and creativity, the very foundation of our advancement up to this point in time. Is it coincidense that the majority of innovators and millionaires in the world are either college dropouts or didnt attend post secondary studies at all? Were they sheilded from the creative killing forces of our education system? What I do know, is that there is more to learning than school. Understanding the world we live in goes far beyond what any professor can tell you, or what you read in any textbook. I went through college with a particular quote by Mark Twain written across my binder, that quote read “I never let school interfere with my education”. Maybe Mark was right. "The dirty little secret - the fact often denied - is that unlike the mythical epiphany, real creation is sloppy. Discovery is messy, exploration is dangerous."